Grace Century's stem cell bio-banking portfolio project Provia Laboratories has once again achieved record enrollments, with November company sales numbers increasing by a huge 66% compared to the same period last year. Provia have now exceeded their total 2014 enrollments by over 40% in 2015 year to date, with a full month of 2015 remaining. Ras Al Khaimah, United Arab Emirates, December 3, 2015	(Newswire.com) - ​Grace Century’s bio banking project, Provia Laboratories LLC has announced another record enrollment month for their Store-a-tooth™ dental stem cell biobanking service, as well as record projected year-end numbers. Provia reported a +66% increase in November 2015 compared to the same month in 2014. Furthermore, with the full month of December left to go, the firm already stands at +42% ahead in enrollments for 2015 compared to the entire 2014 calendar year. Increases are attributed to continued international expansion, improved performance of its dental channel strategy, and continued investment in consumer awareness. In addition, the recent launch of Provia’s new cGMP 10,000 square foot laboratory facility has dramatically opened the opportunities to peripheral revenue streams in commercial stem cell services. 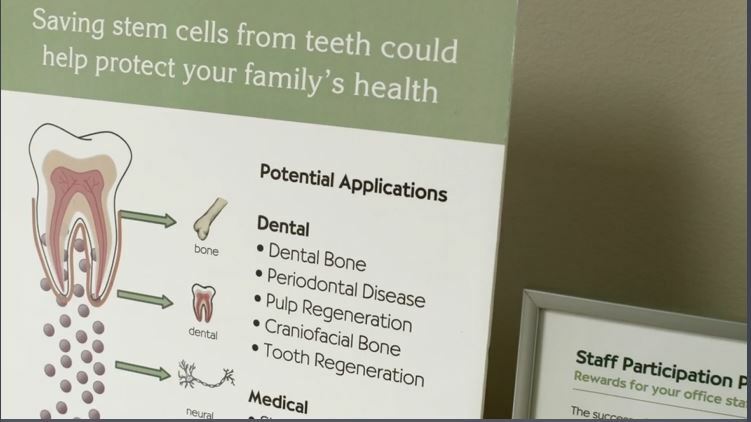 Store-a-tooth technology enables the safe storing of dental stem cells harvested from babyteeth, which have the potential to be used in future personalized and regenerative medicine treatments for illnesses such as Type 1 Diabetes, Cancer and Parkinson’s Disease. In the last 18 months, interest in the possibilities around stem cells has grown significantly within the medical and scientific communities, as more and more research breakthroughs and real-life success stories are being reported. Grace Century’s CEO, Scott Wolf, comments "These are exceptional numbers for any business. Provia’s progress in 2015 serves as a launch pad for when both Europe and Russian territories come on line in the first quarter of 2016 “. Grace Century FZ LLC is an International research and private equity consultancy located inRas Al Khaimah, (north of Dubai) in the United Arab Emirates (UAE). Grace Century specializes in “game-changing” life science and health related private equity projects. Headquartered in Littleton, MA, Provia Laboratories, LLC (www.provialabs.com) is a life sciences company that develops and delivers technologies and services that drive cellular medicine, particularly personalized cell therapies - where an individual's cells are used to treat that individual. Provia is an autologous (cells from you - for you) stem cell company. Provia’s cGMP facility has proprietary protocols to process, preserve, and manufacture stem cells for both research use and to prepare and store for future clinical applications. While stem cell therapies emerge, Provia’s technologies are used today to both support the researcher community and to provide consumer stem cell banking services. Store-A-Tooth™ (www.store-a-tooth.com)- the private banking of adult stem cells found from teeth is Provia’s first application of its core autologous stem cell manufacturing competencies. Additional offered products and services include laboratory processing and cryopreservation services, stem cell samples for research use, and biobanking related products. Provia advises industrial, academic and governmental clients on matters related to the preservation of biological specimens for research and clinical use. Provia Labs is a member of ISBER, the International Society for Biological and Environmental Repositories, as well as ESBB, the European, Middle Eastern & African Society for Bio-preservation & Bio-banking. Sign up for email updates from Grace Century.